In 2018, Hong Kong International Airport (HKIA) handled 74.7 million passengers and 427,725 flight movements, representing yearly increases of 2.5% and 1.7% respectively. The total cargo throughput also increased by 1.5% year-on-year to 5.1 million tonnes. In December 2018, flight movements and passenger volume experienced steady growth. Flight movements reached 37,085, registering a 1.2% year-on-year increase. Passenger volume during the month rose 1.7% yearly to reach 6.53 million, while cargo throughput slightly decreased 5.2% over December 2017 to 448,000 tonnes. Passenger growth in December was mainly driven by 3% growth in visitor traffic. 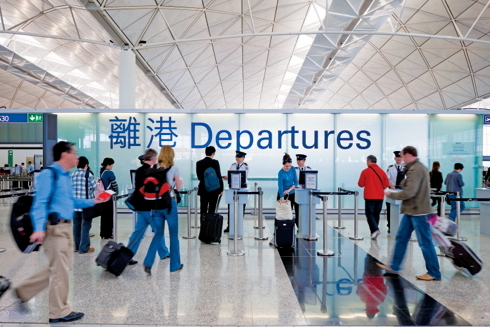 During the month, Hong Kong resident travel also experienced 2% growth. Overall passenger traffic to / from Japan, Southeast Asia and Europe recorded the most significant increases. Amid the uncertain global economic situations, both imports and exports dropped by 7% last month, resulting the decrease in overall cargo throughput. Amongst the key trading regions, traffic to / from Europe and Southeast Asia decreased most significantly in the month. “Looking forward, several capacity enhancement projects will commence to cater for the surging demand. The Terminal 1 Annex Building will commence operation in 2019. After the commissioning, there will be over 40 new check-in counters with self-bag drop facilities and two additional baggage reclaim carousels. The project will also provide more seats, shops and catering outlets in the expanded Arrivals Hall. Meanwhile, to keep pace with ever-changing traveller dynamics and technological innovations, we will continue to launch new initiatives and passenger-focused features to provide a vibrant, world-class experience for travellers,” Mr Lam said. See latest HD Video Interviews, Podcasts and other news regarding: HKIA, Traffic.